So today we have three new Compass Box goodies to have a go at, which is great because, remarkably, this week marks the fifth year since The Whisky Exchange Whisky Blog (snappy title) first slithered onto your screens. Yes! Five years already!! Egad and Holy Crapola. Yo, I’m back! Just because it’s the anniversary. But no, in all actuality, it’s really five years and two days since I put up the obligatory ‘Hello world’ cringeworthy intro blog post that was required of all blogs at the time. The first proper post, which I’m still rather proud of as my first t’interweb essay, was the following day, when I dissected La Martiniquaise’s acquisition of Glen Moray in typically over-written fashion (start as you mean to go on, I say). Obligatory reference to other stuff that happened on September 18th 2008: Er, sod all. Just some financial crisis stuff and Keeley Hazell’s birthday. Thanks for nothing, Wikipedia. Anyway let’s crack on, time is short when you’re having fun (that’s right, isn’t it?). As I mentioned, we have some nice Compass Box goodies to have a go at. 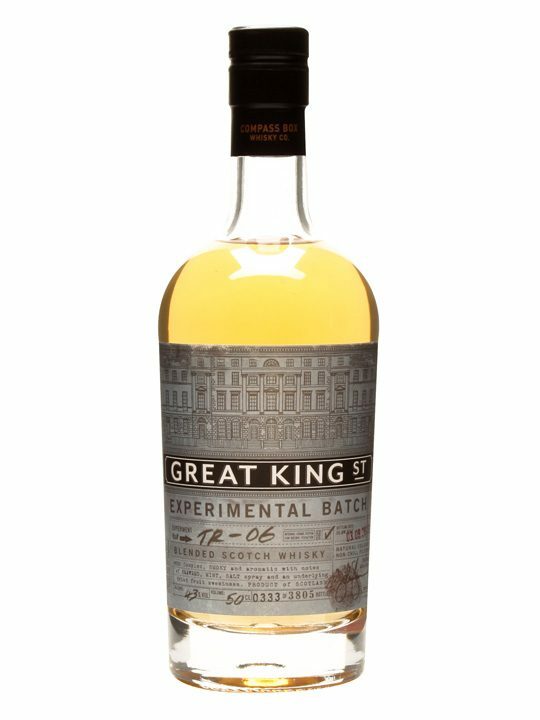 They include Delilah’s, a new blend created specifically to go with beer (presumably they couldn’t go with Boilermaker as someone else has already got there); and a pair of ‘experimental’ (it says here) blends, one of which will go on to be a permanent addition to the Great King Street range. Delilah’s, then. Cool label, check. American oak, check. It really couldn’t be anything other than a Compass Box whisky. The story here is that Compass Box have created a new blend for a trendy nitespot of the same name‘s 20th anniversary and, presumably, they got their measurements wrong like in Spinal Tap’s Stonhenge (but the other way round) and ended up with far too much (I’m totally making this up, by the way, that’s definitely not what happened). Anyway, it’s not confined solely to Delilah’s bar, which is a relief as that’s in Chicago (apparently they’re into their punk there) and otherwise we wouldn’t be able to sell it to you and this whole blog would be a complete and utter waste of your time. Eh? Oh. Delilah’s is quite limited though – only 1200 bottles have made it intact from the US for the whole of everywhere else, so it’ll probably run out pretty quick. 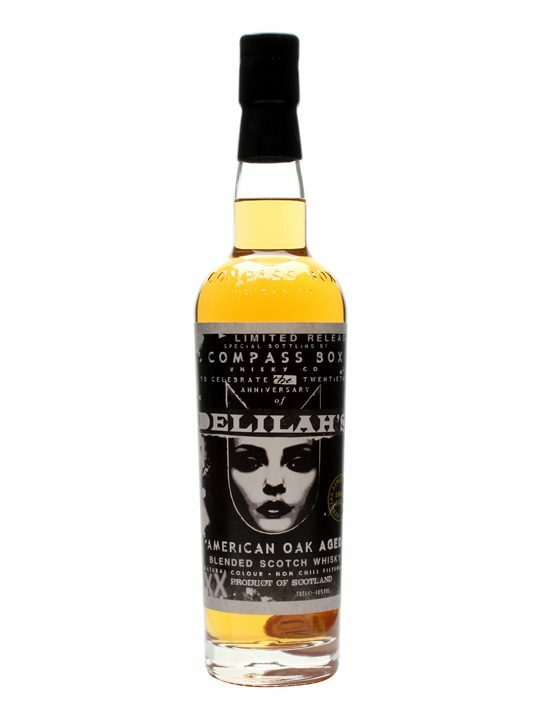 It’s bottled at 40%, which is pretty low for Compass Box, but that’s because Delilah’s is intended to be an easy-drinking sipper appealing to a broad range of folk. Incidentally, the bar itself was referred to as the most important bar in America by none other than Michael Jackson (the good one) and has won the title of the USA’s Best Whisky Bar on numerous occasions, so if you’re ever in Chicago it’s probably a good idea to go there. Nose: Very clean and fresh, with green apple and some lemon and grapefruit juice. Then restrained vanilla oak, with hot-buttered toast, roasted oats and coconut shell. A hint of spongecake develops. Palate: Follows on perfectly, with Compass Box’s trademark precision. Shows apples, vanilla, cream soda and some mildly sappy oak. 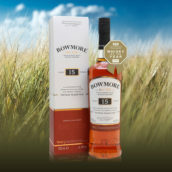 Impressively hefty for 40%, bottling at 40% is by no means a disservice to this whisky. Characterful. Finish: Very good length, drying. Comment: Of course, it doesn’t taste like a bourbon, it’s not nearly sweet enough. But there’s no doubting it’s from American oak. In the interests of thoroughness, tenacity and self-sacrifice that TWE Blog has never really become a byword for, I also tried it on either side of a slug of light beer. I couldn’t bring myself to drink Budweiser, so I settled for a Reinheitsgebot German lager. They went together like toast and beans. Delilah’s is a very pleasing whisky with attitude aplenty without taking itself too seriously and it goes down a treat. It is obtainable here. Next up, these two experimental blends. It transpires that in a sudden moment of indecision, Compass Box are going to crowdsource opinion as to what the next Great King Street should be. These two limited editions go under the snappy titles of ’00-V4′, which will hereinafter be termed ‘the orange one’ and ‘TR-06’, which will be referred to henceforth as ‘the blue one’. Enough ado. Let’s see what these are all about. Nose: Old bark, faint raisins, hints of molasses or kvass. Cinnamon bark, possibly a hint of liquorice. Freshly-planed wood shavings. A leafy quality, some mild oak and a hint of citrus. Youthful and fresh, yet mature, like a teenager that does the dishes without being asked. Water releases an older sort of oak, flapjacks and notes of nougat. 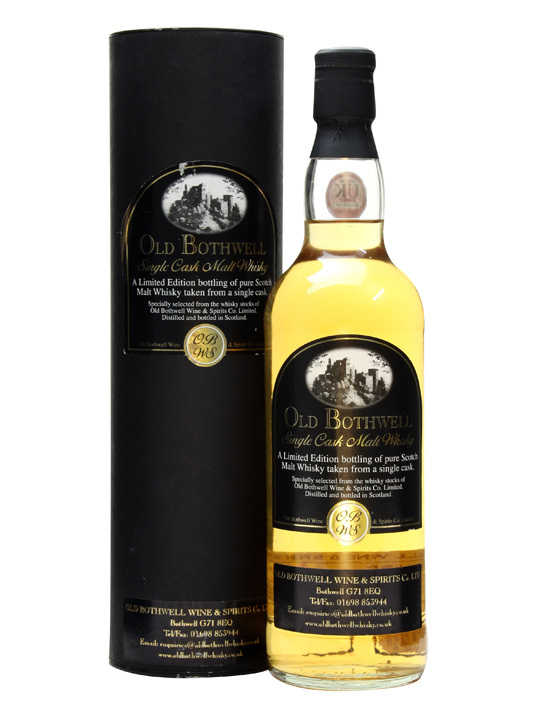 Palate: A pleasing malt loaf quality, hints of fruit and nut chocolate, lemon juice, green apple skins, that leafiness again followed up with a spicy kick of cinnamon, clove and white pepper. Finish: Medium-length with a tingling, lemon juice astringency and pepper spice. Comment: A brisk, non-nonsense whisky, youngish and certainly not over-sherried. Be very gentle with the water, a drop will suffice. Very good. Now, let’s try the other one. Nose: It’s not a stretch to hazard a guess that there’s Caol Ila involved here, which is obviously a good thing. Wet sand, oysters, brine, hay. 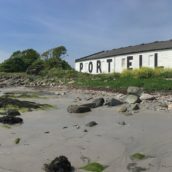 Not a million miles from, dare I say it, what a youngish Port Ellen may have smelled like. You get the picture. 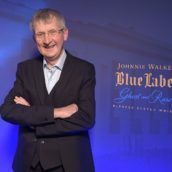 Palate: I confess that I can’t taste the Clynelish at all. Nor even the grain, if I’m honest. This is like a very good, clean, fresh, lemony, wet stone, walk-on-a-beach Caol Ila. Again, it packs a pleasant punch despite the comparatively friendly strength. Finish: A faint dusty note and a slightly metallic sharpness that finally betrays the grain. Extremely moreish. Comment: This competition is a sham, there’s no contest at all. I’m a sucker for this kind of style, it’s uncomplicated but brilliantly austere. Clean as a whistle. If you’re a fan of those gorgeous PE’s or Caol Ilas from tired casks where the spirit just sat there evaporating and oxidising, you’ll love this. Sooo, seeing as it’s our birthday and all, let’s just dive in and have a Port Ellen. I opened this on the spur of the moment last night with a certain Hove-based celebrity whisky writer over an impromptu (and possibly ill-advised) late dub session. On a selfish personal note I would like to dedicate this tasting note to my dear old chum Darrell, formerly of Mandate, who is now back on the wrong side of the pond. Nose: Amen, brother. Wet clay, wet sand, seawater, seaweed, lemon, unripe grapefruit. Yummy. Softens a little with time in the glass, with the zest from the lemon being replaced by a more creamy, doughy aspect. Palate: Just gorgeous. Lemon and grapefruit again, the briney, beachy notes all in place. I won’t get too lyrical, it’s just a fabulous old Port Ellen. Take at full strength, it doesn’t swim well. Finish: Possibly the oak is getting little tired now, but it’s a very minor flaw in a wonderful ensemble. Dry and pretty zingy, hints of oysters with too much lemon juice. Comment: It’s not the most full-bodied or complex PE ever, but it’s pretty wonderful nonetheless. I should probably let Billy have some, but he’s not here, so hey-ho. Marvellous. 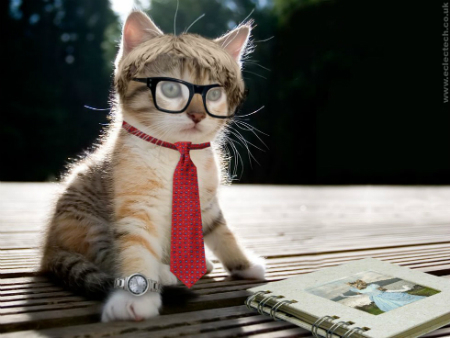 Thanks so much for reading us over the last five years, it means a lot. The blog endureth and abides.